Invite your guest list to kiss the blarney stone and celebrate their Celtic pride when you send out individual St. Patrick’s Day Shamrock Invitations in advance. 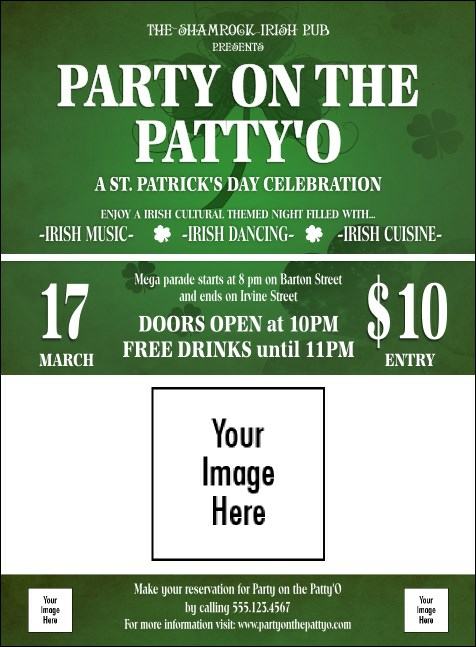 Every Invitation template features space to upload three unique images (one large and two small) on a gorgeous green background with a cool shamrock design. TicketPrinting.com helps you promote your event like a lucky charm.